More than often Pinterest is passed off as a mere marketing tool by many businesses. But they fail to realize that it can be of immense use if they want high rate of traffic to their website. 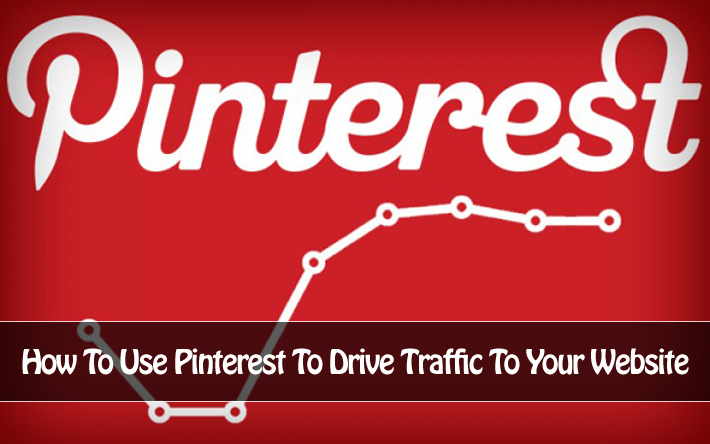 Pinterest can bring ton of traffic and can be helpful to every kind of business. Last year in a study by Shareaholic it has been revealed that Pinterest can bring more traffic than Twitter too! The data is based on analytics from 200,000 publishers which reach approximately 270 million unique visitors a month. Here are top 14 ways Pinterest can generate more traffic to your website. Repining is a very usual practice but if you want your business to be influential, you must create a Pinterest business account. Make sure that you pin your content by yourself before anybody else does it. In your niche, keep an eye on which content has been posted and the kind of content that has not been pinned. So if you opt for an original content when you post, you are more likely to get more repining and get hold of newer followers. Pinterest usually relies on visual stimulation and hence you can pin videos too. So, it pays that you have a good mix in your content and then provide the links and tap the reactions of the followers. You can take your pick from the videos that are available at YouTube as well as Vimeo. You should get a widget installed on your site if you want the quickest as well as the easiest way to get the site content. You must make the full use of Pin-it button as it helps in getting your content in the limelight. But just blindly following the trend is not advisable. You need to understand whether this button will help you or not. Your site will have numerous widgets but you need to understand that your site should not appear clogged up. If you have one or more blogs, you must pin an image every time you are posting through your Pinterest account. The image will be linked to the blog and will create more interest as far as your content is concerned and this equals to more traffic. Like various social media sites, you shouldn’t go overboard when posting your own content. Here, quality of the content matters more than the quantity. You should provide good quality content for your users that they can share with their followers and friends. But don’t overdo it. You can easily post around one to two posts each day. Pay attention that the topic of your post should match the board that you’re pinning. Also, the images that you use should be of high quality as these are the first things that catch the attention of the readers. You can include images of you, your company, your staff, the company building, etc. This will bring more interest in your company and what it does. Readers like to have a sneak-peek of the inside of any business establishment and if you are providing that, it will create a lot of interest. It will also help in bringing more readers. Take steps to verify your website, if it is popular among the users. In this way they can easily locate your website through the Pinterest page. As the website is hidden behind a globe icon, many users find it difficult to locate it. Hence this step should be taken to bring better visibility to your website. In this way, your SEO efforts will not go down in the drain. As you must have noticed, the images usually are tagged with a short description. While in many cases it is fine, at times the description might not be clear. So, you get better results if you cut down the description that the image comes with and provide your own summary. You have the limit of 500 words at Pinterest and usually 350 words or so are suffice to pin. Twitter and hashtags are similar in many ways when you are categorizing your content. But when you are making use of hashtags for this purpose, you must limit yourself in using just one or two hashtags like they do in microblogging. This makes your content easier to locate by the readers. The number of backlinks that your website has built is the parameter that helps the search engines in rating your website. So, you must make use of this strategy too by including links to your website in descriptions. With this trick, you can get high search engine rankings when the pins are shared and you get more backlinks. You must also make sure that your ‘Search Privacy’ is not switched on. If it is, then your website will not be shown on the search list. This is because if ‘Search Privacy’ is on, it will not be displayed on Google or Bing. You will find that businesses similar to yours are making use of Pinterest as an efficient marketing tool. You can follow the footsteps of these influential niches to get similar results. Take example, if you are into home décor, you can take queue from Nester. This will help in bringing better results as you follow the giants in the business world. It is not just the matter of traffic; it will also help in bringing better attention to your website. If you have followers on Pinterest, you must engage them so that you can retain them as customers. If you see that a certain reader re-pins or ‘likes’ a post or pin, you must make sure that you reply to that. A reply to ‘likes’ is vital in getting loyal readers. Pinterest gives a common platform for the consumers as well as the companies to interact with each other. Replying takes no more than a few minutes but pays a lot back in return. A replay as simple as a cordial thank-you note will go a long way in fetching your company loyal consumers. Contests on Pinterest has become very common as more and more companies are holding contests if your business depends largely on Pinterest then it is the best way to get more and more traffic to your website. If you have the contests on your website, it is best to promote it through Pinterest and the results will be very pleasing. Pinterest can also serve as a medium to inform the customers about discounts and offers that you giving to them. This will not only increase traffic to your website but you will see more customers too. It also helps in creating hype around your promotions. You can also take the help of Pinterest for sharing by making use of your Pinterest profile. You get more traffic at your website. The reasons are that the readers enjoy the pictures and as they know that they are not being diverted to a sales page, they gain more confidence to click on the links. You must concentrate of diversity when it comes to using Pinterest for your marketing needs. Try to pin more and more items as well as have a wide selections as far as boards are concerned. When you do this, you get more contacts over time as more people will check you pins and find your website. They will also click on your links more if they find diversity here. Try to get hold of more pins by placing a ‘pin-it’ button right next to the images. Diversity is the key here if you want better traffic rates for your website. You must include more items which appeals to the customers. People who find your website at Pinterest may like your content and then pin it. They can share it with others who follow them. This creates a chain wise sequence which leads to more followers. You can monitor the traffic using many tools that are available in the market. You can make use of blog statistics which are available in WordPress, JetPack, and Google Analytics. You need to monitor what is working for your website and what is not. This will help you in knowing the requirements of your customers and readers better. It’s turn to review your thoughts. What do you think? Has Pinterest been of help to you in creating an audience? Are you using pictures that are customized on Pinterest? What has been the feedback of this step? Has it helped you in anyway? Diversify, Indulge, using own description along with hashtags works better on pinterest… by the way I am missing a pin it button on your website? We use Shareaholic WordPress Plugin in our blog which includes a pin button. And the awesome part is you can track user user engagements on each post through this plugin. Thanks, Saha for some great tips on using Pintrest! They were very helpful…definitely going to implement them on both my sites! Nice points Saha.Many people underestimate Pinterest but has got amazing traffic if utilized properly. Very true Phanindra. Thanks for reading!